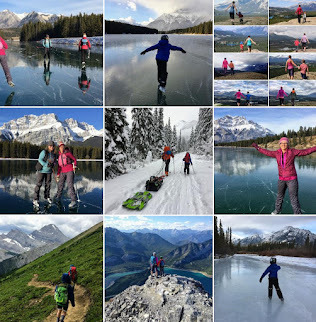 Family Adventures in the Canadian Rockies: KEEN - a Review, a Giveaway, and a Fabulous pair of Shoes! KEEN - a Review, a Giveaway, and a Fabulous pair of Shoes! We had our first snowfall of the season today in Calgary and I decided today was the day I wanted to tell you all about my new Keen Sandals. Yes, sandals! And here is one of the first photos we took of me in my new shoes. Who needs winter boots when you've got KEEN? So I kind of cheated and wore socks in them but still, I wore these amazing sandals on ice! And not just any ice - that's a glacier I'm standing on! We'd won tickets for a Snow Coach Tour on the Athabasca Glacier (another blog topic completely) and I didn't feel like putting my hiking boots on. I was also sporting nasty blisters from my hiking boots and these sandals were the only thing I could comfortably wear. After completing our glacier tour we proceeded to do a short hike up a nearby ridge and while I normally wear hiking boots even on a walk around the zoo, I thought - these aren't just any sandals I've got here. These are KEEN sandals - the true and original hybrid sandal! I'd also chosen the Willow Model because they were supposed to be well suited for a multitude of outdoor sports from paddling (which I love) to hiking (which I also do a lot of). So, up the ridge we hiked and as expected - the sandals were great. I did not sprain my ankle (something I'm prone to do in bad shoes), I got no fresh blisters, and there was no chaffing. In fact, I felt so free in my light footwear I felt like I was flying to the top of the ridge. It was one of the easiest hikes I've done in... - can't remember honestly! A long long time! KEEN will take you places! To further test the shoes, I wore them on a big hike the next day. An 8.6 km hike to be exact. Not exactly a marathon but still, a long hike in sandals. There was also a fair bit of height gain at 500m. Again, not a LOT, but enough to sprain a week ankle on the descent should you have those kind of ankles (which I do). Again, there were no problems and I actually ran a good chunk of the way back to the car chasing my little 3 year old dragon. We went flying down the trail flapping our wings, laughing, roaring, and screaming. My feet were awesome! Again, I felt like I could have hiked twice the distance and scaled a mountain in these shoes! How fast can you run with KEEN? The Keen website is one of the best websites I've seen for outdoor gear. It's unique in that it allows you to compare the shoes you are interested in side by side. Just click on the shoes you're interested in (there's a "compare" box) and select "view comparison chart." It's Brilliant! I mean, Keen has a lot of shoes! How else do you choose between the various models of sandals and keep track of the many features unique to each model? I compared about 5 models side by side when I was shopping from the Keen Canada website and chose the sandal that truly seemed to stand out as an all around hybrid shoe. Another fabulous thing about shopping with keen is the customer service you get. My shoes were shipped to me in under a week. I was shocked when I saw the box in the mail! Absolutely shocked because I think it had only been a few days since I'd placed the order. Then Keen went above and beyond when I discovered that my shoes were a half size too small. I seriously expected a bit of drama to return them. I was in for a big surprise when I was simply told to put them back in the same box, to print out a pre-paid return label from their website, and mail them back. I immediately got to order a new pair of shoes and again they were at my house within a week. Wow! There's one final thing I want to draw your attention to in case you've somehow missed all the fun magazine ads everywhere for Keen. Keen is passionate about Outdoor Play! Keen wants you to know that Recess is back and the possibilities are endless! In my own life, I hike, paddle, bike, camp, and play. My shoes have to keep up with me. I'm excited for next summer because rather than bringing three or four different kinds of shoes on our camping adventures, I'll be bringing my KEEN sandals. Period. I will be able to canoe in them. Bike in them. SUP in them. Hike in them. And chase my son over hill, across creek, and through mud in them. KEEN Canada wants to give one lucky Canadian family a pair of Keen children's shoes. You can choose a pair of back-to-school shoes that will help your child become king of the playground or you can choose a pair of sandals for next year's Summer adventures. Leave a comment below telling Keen Canada what your winter pledge is as a family for outdoor play and how you plan to get outdoors regularly this winter. Leave a comment below for each extra entry. The contest closes at midnight mountain standard time on Friday October 12th. Winner will be announced Saturday morning. The winner will have 48 hours to respond once they are contacted. If the winner doesn't respond in that time, a new winner will be chosen. Been a fan of Calgary Family Adventures from the start! Like KEEN Canada on Facebook! Been out with the Calgary Outdoor Playgroup. Hopefully the schedule will mesh that I'll be out on more in the future. I know my son would love to see yours more so that would be great. Our family does a lot outdoors in the winter. We're skiers (xcountry and downhill), love to play in the snow, toboggan, hike whatever! Winter is 9mths long in these parts-- may as well enjoy it! Do you x-country ski as a family Sami Joe? How do your kids do with it? I liked KEEN on FB. I follow Keen Canada @KeenOutdoor on TWitter. We get out all year round as much as possible... in the winter we like to skate, toboggan, hike or go for walks, play in the snow(build snowmen, throw snowballs, & make snow angels), and ski (mostly x-country, but also down hill/snowboarding). Gotta get out and enjoy it, otherwise we would dread it! The boys love the winter and we plan on getting out to hike, toboggan, build backyard igloos and forts, skate and ski as much as possible! We love winter and we were all out "tromping" through the snow yesterday!! Love to ski and go for winter walks. You should almost get two entries for getting outside yesterday on the first snowfall. Plan to use the Keen shoes on the skating rink this year (with a little chair) for my toddler to get the feel for ice. Good idea. I plan to write lots of posts about skating this year. We started last year as a family and loved it! We started our son in Bob skates (double blades) and it was the perfect introduction. We plan to get outside lots this season with downhill skiing and dog walks. I should get a pair of Keen's for myself and see if they help my pressure allergy! What's a pressure allergy Leslie? Ice climbing with the boys? Can I get a guest post on that? Seriously. We'll have to get out to Elbow Lake for a snowshoeing trip before the road closes. It was the best snowshoeing trip I've ever done when we did it last year. We're going to continue to get out and play each and every day. Whether it's 20 minutes on the days that are -40C or 8 hours on the ski hill, we love to get out and enjoy the outdoors. They look awesome! I am looking for some hiking shoes and my little one needs some too....she did a school nature hike in rubber boots today! Where is the best place to by them? Jackie Bateman, Banff, AB. You can order directly off the website if you want (link to Keen Canada is in the post above) or you can buy them from many stores in Calgary. I know MEC sells Keen shoes. I'm sure there are stores in Canmore too that sell them. They are everywhere. I did a hike today with our Outdoor Playgroup in my Keen sandals, lol. My feet were warm enough thank goodness. Skating and snowshoeing! Can't wait to get my son on his snowshoes this year-and my daughter still rides in the chariot. Looks like we have a lot of skaters here. Maybe Keen needs to branch out into a line of skates. Sounds like a great company, and some awesome sandals. My niece will be 3 in Dec, and I hope to do lots more skating with her this winter - she loved it last year. Probably will wait for another year before getting her kids cross country skis. I thought I had already liked Calgary Family Adventure Community, but I guess not. Now I have fixed that. I also liked Keen Canada. Thanks Carol. And good luck winning a pair of shoes for your niece. You're a great aunt. My name is Laura Angelica, I live 3 years in Calgary and recently enjoying Thai beautiful city. Dylan my son, is the reason that I joined your Wednesday playgroup and we are really enjoying this. 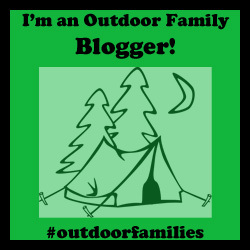 Thanks to your blog, my family and I are doing nature walks and going to the mountains. For a girl that lived most of her life in a city (Lima, Peru) was very scary to go to the mountains thinking about wildlife all the time but now everything have changed and I am enjoying this so much. How are my family and I going to have fun this winter? Learning to skate, snowball fights, doing snowman, nature walks and for our first time my son and I are going to do tobbogin... I think this is a good start! I liked your Playgroup on FB, Laura Angelica! Thanks for entering the contest Laura. I'm glad you have joined our Outdoor Playgroup and I'm sure you'll have a lot of fun here this winter learning to love snow. My name is Laura Angelica, I went to Inglewood bird sanctuary and fish creek events on your Wednesday playgroup. My husband, my dog, myself, and baby in the belly all plan on getting out this winter with a little more of a slower paced winter activity, which contrasts the usual fast paced snowboarding! Hopefully I will have a chance to snowboard a bit, depending on how my body reacts this winter to a growing little person, but my husband will likely get some back country riding in as well! The dog will LOVE the extra opportunities to bound through the Northern BC fluffy powder and chase rabbit trails while we get some exercise and enjoy the crisp winter air. We both love KEEN footwear, and both own a few, from sandals, to shoes, and boots! Also, my husband's name sound the same.. Keane! A match made in heaven perhaps. Thanks for this great giveaway! I have to admit that I'll take snow any day over rain but puddle jumping definitely is fun. I hope you have a great winter and find creative fun ways to get outside. I love Keen's ... they are my feet best friends.. I hike on them, I play on them... actually my whole family do! yay for Keen. Thanks for entering the contest. My winter pledge is to go cross country skiing twice a month this winter and introduce my kids to the sport! Our son is 2.5 so this winter is going to be filled with new and exciting adventures for him. We are excited to get him on skates, in a tobaggan and maybe even get the whole family on snowshoes. I'm going to have to start writing some stories on skating. I like the Calgary Family Adventure on Facebook. I like Keen Canada and Facebook. I follow @MountainMomYYC on twitter. I follow @KeenOutdoor on Twitter. I don't have a twitter account but I have been to Edgemont, bow habitat, and the nose hill walk with the outdoor play group. We are planning on tobogganing, hopefully cross country skiing and skating and lots of day trips to the mountains! Lots of cross country ski fans here. I love it! Our family just took up geocaching this summer we are hoping to continue that into the winter as we want to keep getting our kids (4 & 2) outside. What an awesome idea for winter fun outside. This year both kids are big enough to try tobogganing and skating outside. Can't wait to get my son on real skates this year. Last year we had the Bob skates. The only time my son doesn't complain about walking is when we have joined the families in the Calgary Family Adventure group for a hike. I love the diversity of the families that belong to it. I like to hear that. Maybe you can join us for our Halloween hike (check your emails). I already liked the group on facebook. 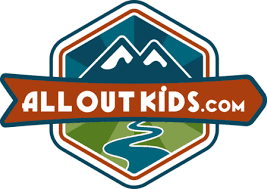 Hi I Like Calgary Family Adventure Community! I like Keen Canada on FB! I have attended Calgary Outdoor Playgroup such as the Bow Habitat Fishery and the 2km walk in the new provincial park near Cochrane. And walking around Bowness! Unfortunately, I started working full time again and haven't been able to hook up with the group for sometime. Love the post ideas! Sad to hear that you have gone back to work again and can't join us. There are a couple Saturday activities coming up this month. Maybe we'll see you there? 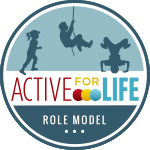 We plan to get outdoors and be active this winter. We live in the country and right on our door step is a tobaggan hill. A little rugged but it works! Our little community also has an outdoor skating rink and I plan to start our son who is 3 in January skating on it. We are avid downhill skiers, so we have our Kimberly (Christmas) and Whistler (Feb) ski trips all ready booked with ideas for Fernie and Nakiska. Started our son at 2 in Whistler downhill skiing and trying to decide if we should go in weekly ski camps at Nakiska...that all depends on the potty training though! Last of all I am loving the posts on CFAC. I may not be able to attend, but I am making a file of the hikes/walks and plan to try them out on the weekend! Thanks Susan. There's a whole list of our favourite hikes in Calgary on my blog too. It's a tab at the top of the page (Calgary urban hikes). All of the hikes we've done with playgroup are there. It's been a few years since I was on skis due to back to back pregnancies, but my family and I are looking forward to hitting the slopes this winter! Our plan is to get out once a month with the kids. We also want to try snow shoeing, winter hiking, snowmobiling, tobogganing, skating... all the best winter activities! Our family loves winter and we will definitely be getting out as much as possible. We will be downhill and xcountry skiing with our daughter and we already have our family pass for Norquay. We also love to go for walks, skate, taboggan, and play in the snow. We also go winter camping with our winterized RV and will be hitting some winter campsites in the mountains. This is our first winter in Canada, and we are very excited! I plan to make sure the kids and I get out every day for at least a little while, and that we do lots of sledding, skiing, and skating, have lots of snowball fights, make lots of snowmen/women/creatures, and drink gallons of hot chocolate. I also want to make sure we get out for a whole family adventure in the snow at least once every couple of weeks. I love snow, and hope to teach my kids to love it too. Can't wait!!! I like Calgary Family Adventure Community on Facebook. I like KEEN Canada on Facebook. We always have a blast at Calgary Outdoor Playgroup events! I'm gonna get out and re-introduce myself to cross country skis this year, take my son skating and drag my husband away from his computer so we can all get out and toboggan this winter. My feet are still bearing crisscross tan marks from wearing my KEEN sandals all summer. My son and I have been out to several Calgary Outdoor Playgroup events and enjoyed them very much. Liked Keen Canada on FB. Liked Calgary Family Adventures on FB. Myself and my children have loved attending Calgary Outdoor Adventures Playgroup over the summer and look forward to the winter outings. This winter we plan to downhill ski and try our hand at x-country as a family, as well as toboganning, snowmen/angel making and snow painting with food colours. Sami Joe - you were the winner of a pair of Keen children's shoes. I'll send you a note.